Yakking has never been better for IYAK members. 1. Great Lakes Ranch - Goes out with a Bang! 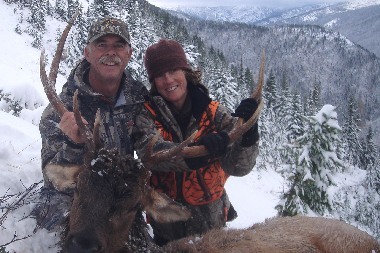 Brad and Jandy Sprouse are lifetime members of IYAK. Brad was involved in the early days of both the alpaca and yak associations before there were any registries In fact, Brad owned the very fist registered yak, Sgt. Pepper, when the IYAK registry opened up. Two years ago they sold the alpaca and this year the yak herd - the ranch is for sale and they are aiming towards retirement! Now they live in their dream house on Lake Michigan with 70,000 acres of the Sleeping Bear Dunes National Park right next door. When the stock trailer, the final piece of ranch equipment finally left, it was a bitter sweet moment. The lakes provide the perfect venue for them to pursue their passion for one-design sailboat racing, and on any given weekend in the summer you can count on them being and out in force as a family, trimming sails and racing against each other in what is one of their favorite pastimes. They have lived for years surrounded by the beauty of the Caribbean-like colors of spring-fed lakes and miles of white sand beaches, gravitating into the park often, for a hike, mountain bike ride or a friends and family gathering for a “beach” picnic on the shores of Lake Michigan, languishing around a fire as the sun dips into the bay and the sky becomes a starry masterpiece. Winter, at the lake house, is all about the quiet beauty of the calm left after all the tourists and summer people have gone home. 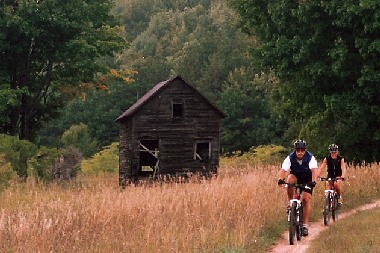 Brad and Jandy then find themselves out in the national park, cross country skiing or hiking and soaking up the beauty and peacefulness of quiet reflection, in places that are heartfelt favorites with views that fill the soul. There is usually an annual trip out west to enjoy the mountains, downhill ski, and connect with friends and family. With retirement now in the forefront, they will continue to be active as lifetime members of IYAK, but have more time to spend with friends and family and look forward to visiting all the wonderful people they have forged lifetime friendships with in both the alpaca and yak industries. It’s a quiet freedom after years of livestock management. You go guys! You deserve it! 2. Swiss Yak Herders Living the Dream. Because Yack Tsang Ling is a world apart. The walker finds himself immersed in a real traditional farming with its pasture of course, but also its small family economy, gardens and pets. The couple of owners willingly tells the story of their lives. Two lives that have been turned upside down by Asian culture. Both abandoned their old profession and their city of Zug to lead another existence. The yak mayen is witness to something that you rarely have the opportunity to see: a crazy dream realized. Comfortable refuge The yak mayen offers exceptional comfort for a mountain hideaway. It is equipped with electricity, running water, and a large dormitory. An evening and a night in this place allow to seize the spirit of the Himalayas that the two impassioned wanted to implant. "Here we have the mountain of course, but it's not the same," exclaims Daniel Wismer. In Tibet it has a much more mystical and spiritual dimension. " And this spirituality is contagious. The wind reads Tibetan prayers and sounds chimes with light melodies. Yak meat is tasted as fabulous marches to the tops of the globe. The traveler is cradled so much so that, if he is not careful, he may well put his worries aside for one night. It is possible to walk in the plots of the couple, and capture breathtaking views of the valley below. We quickly forget that we are in Upper Valais. This part of Asia in full Valais not only attracts curious walkers or tourists. Many Tibetan refugees sometimes make the pilgrimage to the Yack Tsang Ling. "They like this place," confirms Sonia Mathis. Some second-generation refugees do not even know their own country. Being here allows them to feel some of their roots. "A very special ceremony had taken place. Five years ago, a Tibetan monk and the priest of Embd rode together to the shelter for a joint blessing.The two dreamers have made a success of their bet. They offer walkers to share a bit of their daily life. This is accomplished in the hard work, but without concern because as Sonia Mathis says, "if we started to think too much, we would not dare to stay here". Not easy to raise yaks on the Alpe Yak breeding alone is worth a visit at Roti Flüo. Switzerland has a total of 600 specimens of this Asian animal, including 48 at Yack Tsang Ling. It is naturally accustomed to steep slopes and rarefied vegetation that correspond well to the topography of the Valais mountain pastures. It took significant resources to bring the first specimens to the mayen from German or Latvian farms by truck and helicopter. A beast costs between 5,000 and 7,000 francs. The huge investment of the owners is offset by their economic activity as well as by state subsidies. Yak farming requires great patience. It is more difficult to tame than a queen for example. "At first, the people of the village were not happy to see me arrive with yaks, recalls Daniel Wismer. Some did not give me six months to crack. " 3. The Yak Book. Pakistani Yak Gone Wild. 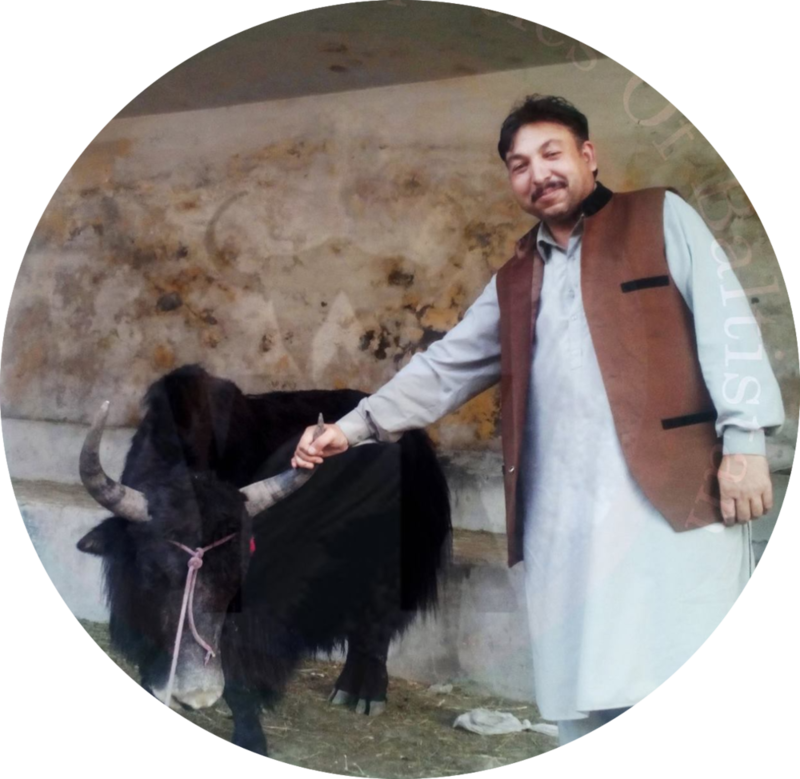 International Yak Association member and active supporter, Shakoor Ali was born in Khaplu Baltistan, a remote area of Gilgit Baltistan, situated in the extreme north of Pakistan. He received his Master in Zoology in 1997 from Azad Jammu and Kashmir University Mustaffar Abad, Pakistan. Since then, he has been teaching as a Lecturer in the department of Biology at the College of Skardu, Baltistan. He is a man of many passions including travelling, hiking and fishing - and yak. Being found of hike, he covered almost all upland pastures and meadows of Baltistan during his 12 years devoted to Yak studies. He has been interested in wildlife, history, tourism and anthropology of the Baltistan area. He strongly believes in collecting firsthand knowledge from the primary sources and is always ready for effort the and hard work required to do so. 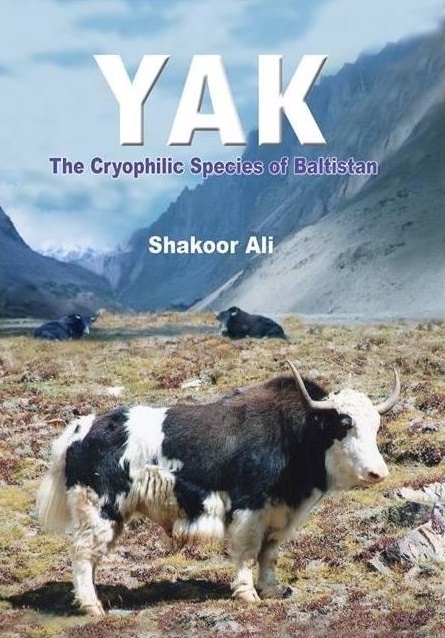 The Yak: The Cryptophilic Species of Baltistan In addition to “The Yak”, he’s been active in the media, writing articles for magazines and newspapers, and continue to write on the topics intimate to Baltistan: wildlife, tourism, and culture. He’s currently writing two more books in tandem: one on local Birds and another on fruits (Apricot). CONVERSATION BETWEEN YAK AND HUMAN It doesn’t matter if Yak cannot speak any human language but can understand Balti. An interesting conversation between a Yak calf of two year and the Yak keeper (Ghulam Ali ) in the Hushe village of Baltistan.